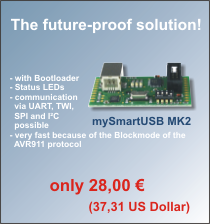 myAVR Microcontroller shop - Downloads zu myAVR Produkten - Technische Dokumente, Demo-Software, Beispielprogramme, uvm. The C/C++ source code for the ATmega168 is available to use. 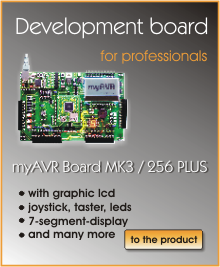 These documents includes information for soldering, especially for our myAVR assembly kits. The detailed soldering instruction includes several pictures. Electronic components, which you have to pay attention to the direction of installation, are regarded explicitly.